The obvious reason for those chips being missing is because they are being mined with. It's funny the way none of you FUDsters can come up with a logical argument against this. It might be good to stop this "black and white" thinking. 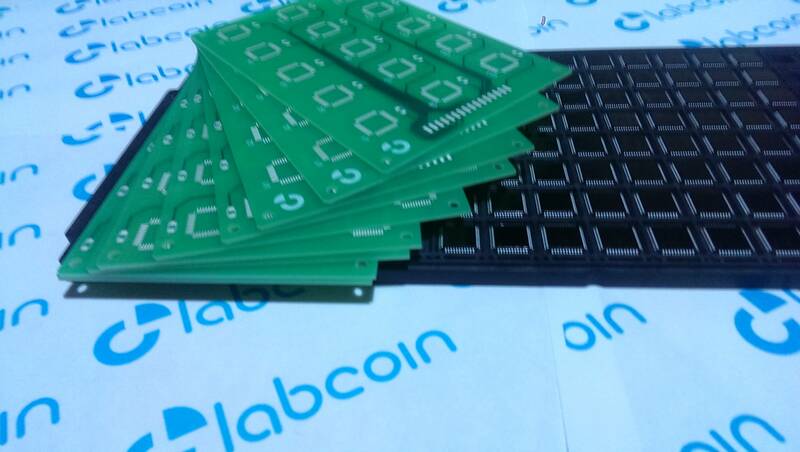 There are several nuances between "Labcoin is not hashing at all" and "Labcoin mines on a large scale". They say they are at an experimental stage, they say they are hashing and optimizing and we also know they are not yet on a productional scale. Come on Mabsark you little liar. Stand up and explain how you are the biggest cheerleader for this company but you haven't even read POST 1 on PAGE 1. You have been found out now you go quiet hoping this will blow over. Mr Labcoin himself and he doesn't know the very BASICS. I won't let the investors you are hoping to rip off come November miss this. This shattering reveal will not be forgotten. Man if you were just an ordinary Joe this would be a joke but you are the biggest shouter on this whole thread! And on the actm thread you don't stop mentioning LC! Biggest joker on this forum BAR NONE. I got a feeling things are going to get a lot worse before it possibly gets better for Labcoin.. 6 weeks of silence until end of October? I'm not claiming they're mining on a large scale, I'm just saying that the most plausible scenario for removing chips from the tray is to mine with those chips, After all, that's what they're designed for. Just wanted to point out that "only because some chips are missing", we can't conclude that they are running a full blown mining operation right now that generates significant profit. But I think you got that. They could be demonstration chips.. it could just be a big tray and not enough chips on hand to fill it. You're just making blind guesses that have very little value.. They're not going to be quiet until the end of October. That may have been their plan, but they won't stick to it. My bet is that the instant they have something to show, they'll be in this thread showing it. Come on Mabsark you disgusting little liar. Eat some humble pie and explain to the people here who you are trying to string along why you are the LC number one fan but haven't read post 1 on page 1. Your entire aim here is to take investors money off them with a big sell off and to get to that sell off you need to tell lie after lie after lie until enough people believe you. You are a money grabbing embarrassment and the fact you are still here after this revelation means you are utterly shameless too. Pathetic. Liar. They're certainly possibilities, but you must admit that they're less probable than the chips being used for their intended purpose. When you open a bar of chocolate, it's likely because you are going to eat that bar of chocolate. lol and so he goes on and on and on. EVERYTHING he says is just to pump the stock guys. You can see that now. He just spreads false hope and speculation, he hasn't done the basic research so does he even think LC will hash? The answer is he doesn't care. So long as he can dump this stock and make a profit while others burn he will be happy. HE DOESN'T CARE IF THIS IS A SCAM OR NOT. PEOPLE - please realise that this guy Mabsark will say ANYTHING to get you to keep your money in this stock because he has his btc in it - and almost everything he says about LC he doesn't actually believe himself. He's a liar and has been found out. What a joker huh. Duh. No surprise he went silent when I started talking about betting on Labcoin actually hashing. 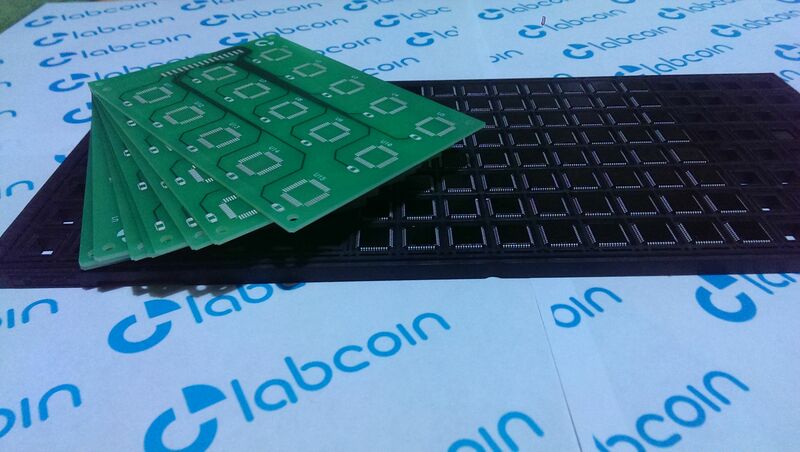 If Labcoin aren't hashing, then why are some chips missing from the tray? Because this picture is so much better than a picture of a working, viable product? Derp. No one is justifying their behavior. They should never have lied.